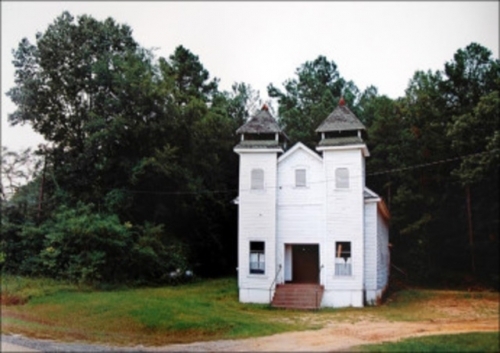 Photographer William Christenberry has spent the majority of his career touring rural Alabama and capturing small bits of its landscape with his camera. Over time, his work has multiplied like so much kudzu he’s shot over the years; now, it lives in the collections of museums around the world, including the Birmingham Museum of Art, MoMA, and Amsterdam’s Stedelijk Museum. Christenberry’s contributions to contemporary photography and eye for beautiful imperfections can’t be imitated, but seeing multiple works in a solo exhibition allows visitors to see the world the way he does. Whether it’s an image of a distorted sign for soda in Memphis or a large print of a church surrounded by trees, Christenberry’s works capture an intimate experience in each piece. In his latest show at Hemphill, viewers will be able to see the South as its cities have evolved from quiet streets dotted with retro cars to major urban centers over the course of Christenberry’s career.